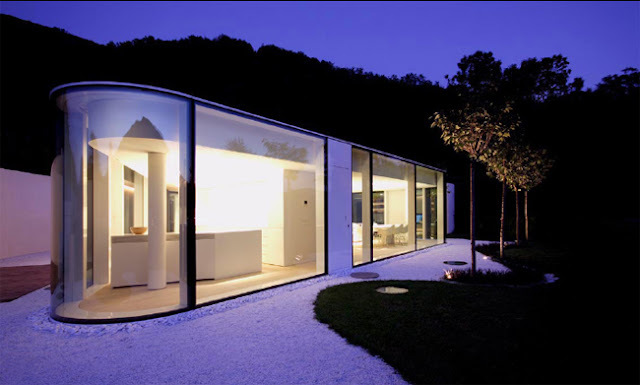 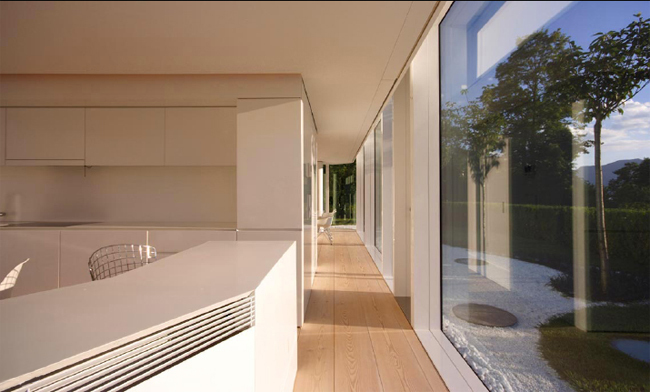 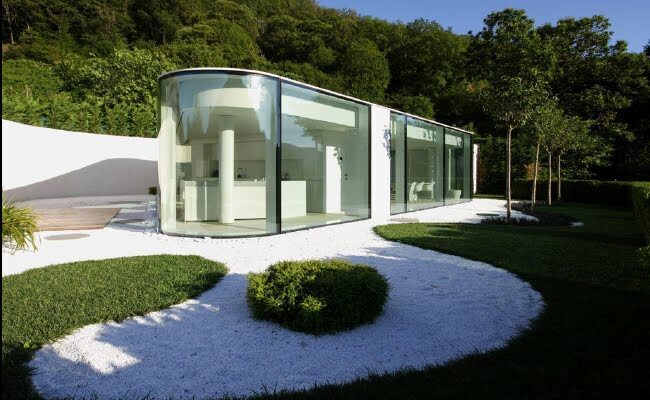 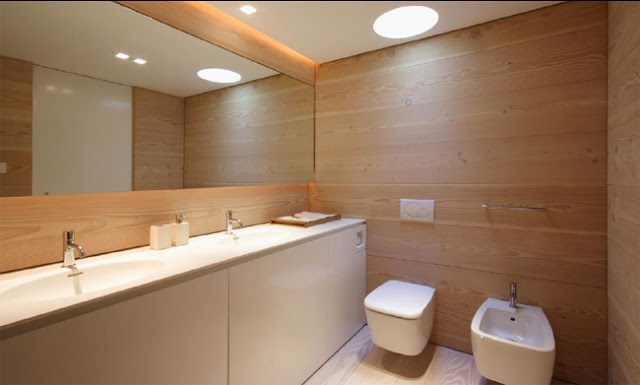 Gently curved beautiful minimalist modern glass house designed by the Italian architect Jacopo Mascheroni. 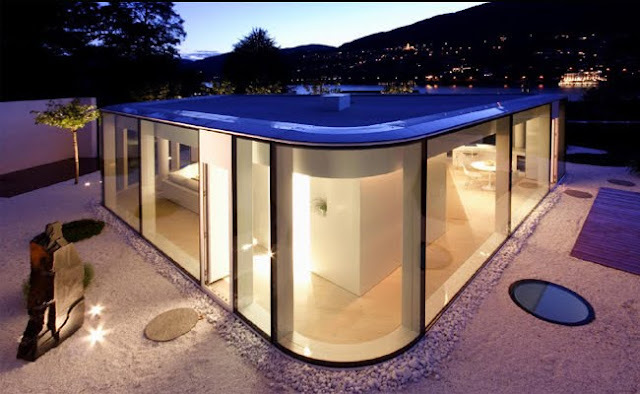 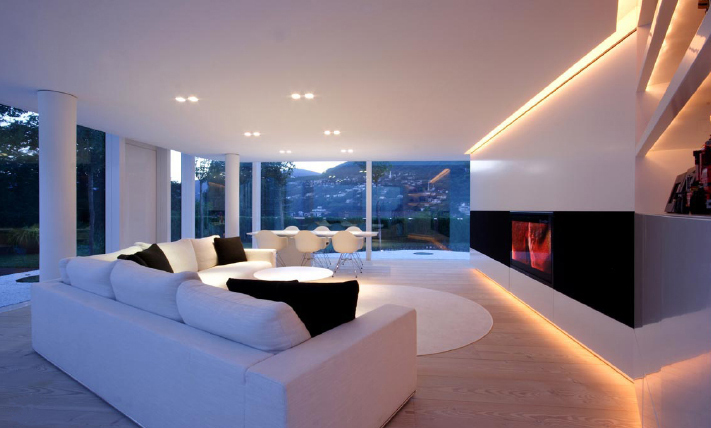 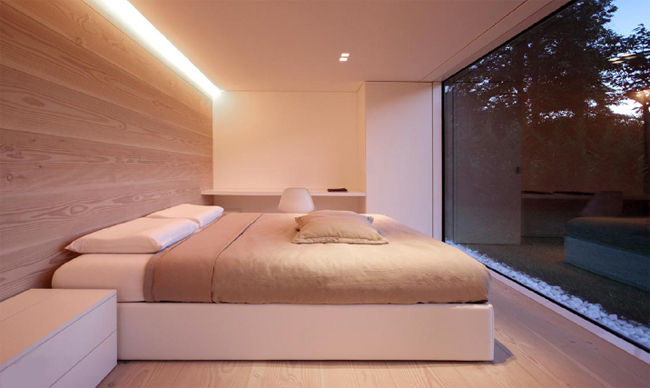 This ultra modern dream house is located at the Lac Lugano in Switzerland. 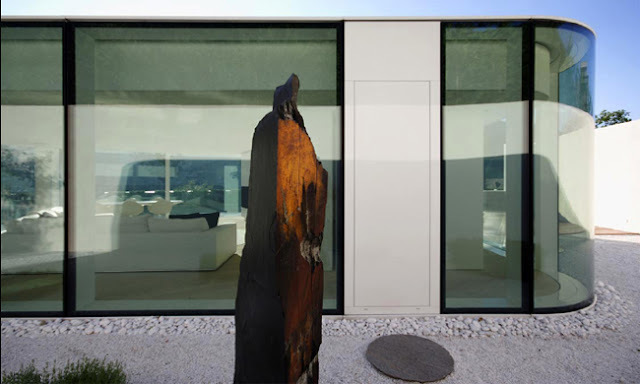 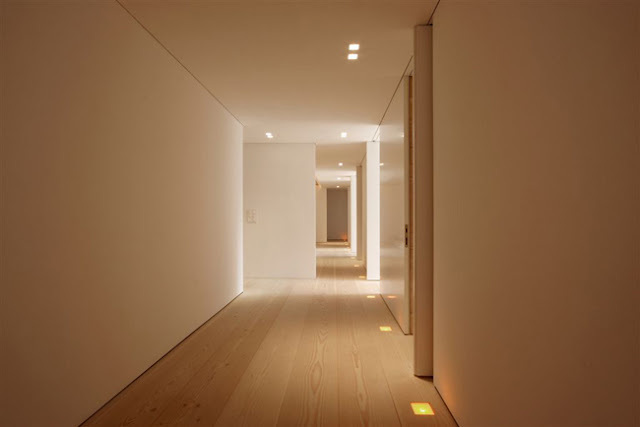 Situated on the slope of a hill, on the shores of Lake Lugano , the villa consists of two volumes organized on different levels due to the particular topography of the site.